The General Assembly of the United Nations, by its resolution 58/4 of the 31 st October of 2003, adopted the United Nations Convention against Corruption and opened its ratification and signature by the States and the regional economic integrati on organizations, at the Conference of Merida. The entry into the international legal order of this unprecedented framework of action, prevention and cooperation, already dated 15 years, merely reminds us of the major challenge represented by training and thinking mechanisms devoted to the struggle against corruption. Ali Bin Fetais Al-Marri, Chairman of the ROLACC, holds a Ph.D. in Law from the prestigious University of Paris 1 Panthéon-Sorbonne. He has been having a strong and exclusive commitment to the fight against corruption for more than 20 years. 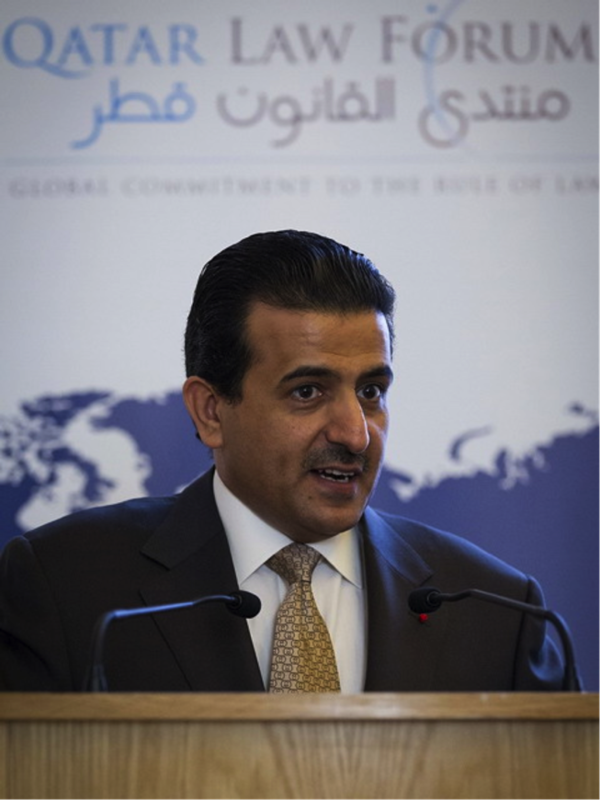 Prior to being the Attorney General of the State of Qatar, he served as a Professor of International Law and Researcher at the University of Qatar, Legal Expert, Head of the Legal Department of the Emir’s Cabinet of the State of Qatar. He also chairs and sits on numerous legal and judicial commissions. He has also been a member of the United Nations International Law Commission since 2002. In addition to his expertise in criminal law and procedural law, his expertise extends to the practice of arbitration and constitutional law.